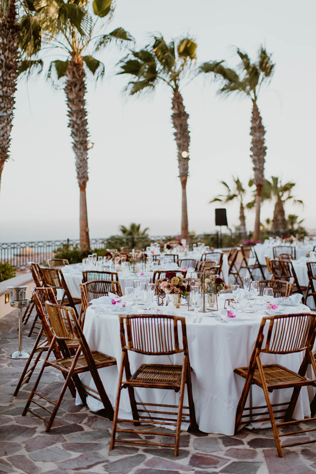 Los Cabos, Mexico served as an annual family vacation spot with many fond memories for Madison and Ryan so deciding to plan their destination wedding there came naturally. 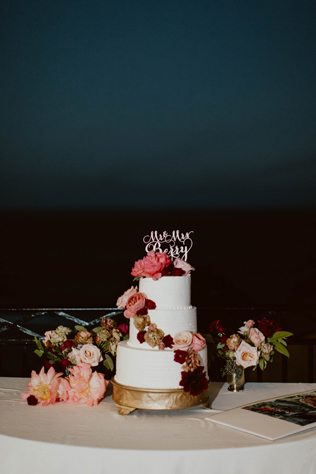 “The first year I went, we had a date night at the marina and it’s still one of my favorite memories,” says the bride. 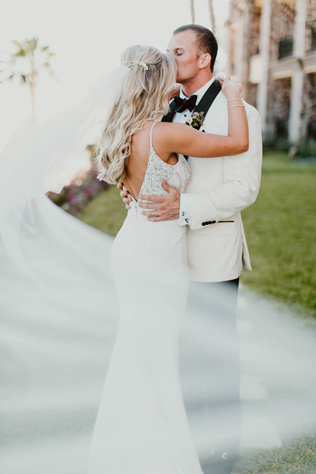 The couple also decided a destination wedding made the most sense since their families lived in different states and would be traveling regardless. Madison also kept an organized folder with the guest list, budget, floral, food and beverage and clothing information on her computer to keep track and help along the planning process. The crafty bride also kept herself busy with a few different DIY projects, including the handmade welcome bags for guests and the bride's favorite project — her denim jacket. With the help of Pinterest, the bride learned how to cross-stitch her new last name and wedding date into the jacket and she sewed on a “Just Married” patch. The couple says they spent about the same on the ceremony and reception as they would have on a local wedding, but with travel accommodations included, they ended up spending more.